Home / e-publishing services / How HTML5 supersedes Flash when it comes to E-learning Course? Technological advancements have always paved way for change in trends. The same has been reflected in the e-learning industry. Changes keep on happening and as of now HTML5 is highly preferred for developing e-learning courses. Let us see why it is soon replacing flash. With new mobiles reaching marketplace regularly, the number of peoples using handheld devices for learning process has significantly increased. It is obvious that iPads and iPhone don’t support flash outputs. This is not the case with HTML5; hence flash to html5 conversion is in huge demand these days. Data storage can be done offline and learners can immediately and easily access knowledge from anywhere and at any time. This is one of the many reasons why people these days convert flash websites and SWF files to html5. It is doubtlessly the best tool for creation of mobile applications and websites. Web apps can be created that users can access from all mobile platforms. Also, such web applications can be deployed in an easier, quicker and cost-effective manner. The way content is organized is highly crucial. Using this, you can easily situate the content to flow in any pre-determined width you please. This allows you to adjust the content in light of the browser’s window size. This can be done via simple coding and a company offering conversion of Flash to HTML5 can easily help you with the same, if coding is not your cup of tea. It has, in fact, revolutionized web industry. Now, web browsers including Chrome, Apple Safari, Internet Explorer and Firefox are trying their level best to support entire Hypertext markup language5 features. Thus with HTML5, various web apps, as well as internet applications, can be created. 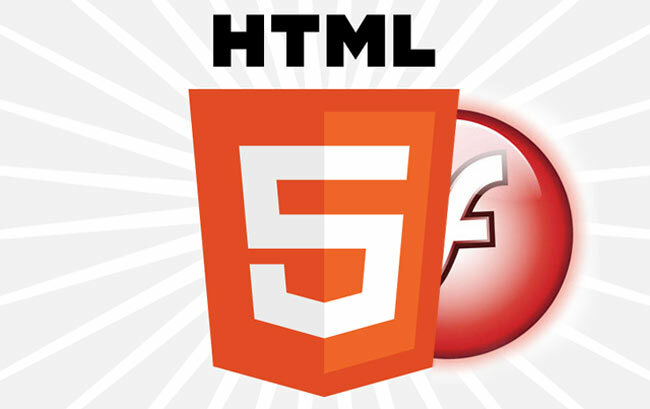 In case of HTML5, there is no need for any additional plug-ins which is a great advantage when compared to Flash. This is one of the notable advantages of html5 over flash. A lot of eLearning authoring tools are there in the market to publish different courses in HTML5. Few of the best tools to convert flash to html5 are Studio, Captivate, Lectora and Articulate Storyline etc. Now, it is easy to revise or update the courses. With HTML5, feel and appeal if the book can be customized. Keep reading our blog post and do let us know your valuable comments. We would be happy to hear from you.